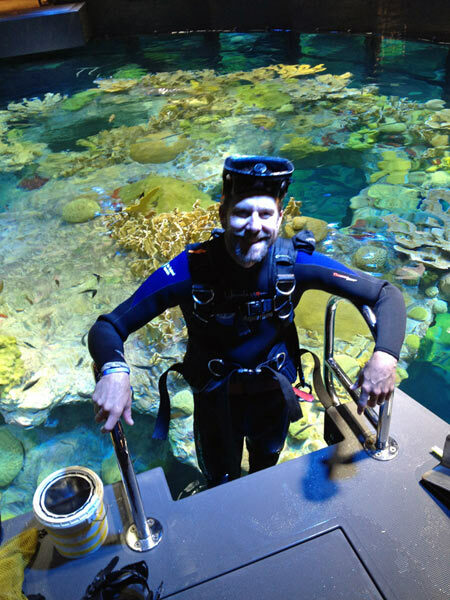 Like I do almost every day at work, I was swimming around the Giant Ocean Tank yesterday, feeding critters and waving to people through the awesome new windows, when I noticed something fall into the tank. 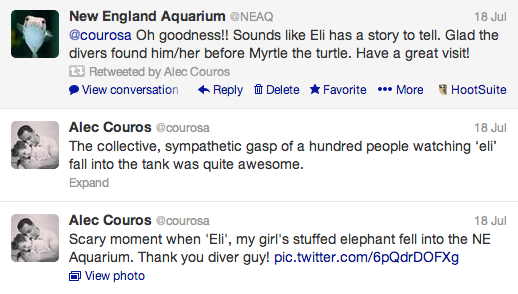 Turns out, it was Ellie the elephant. 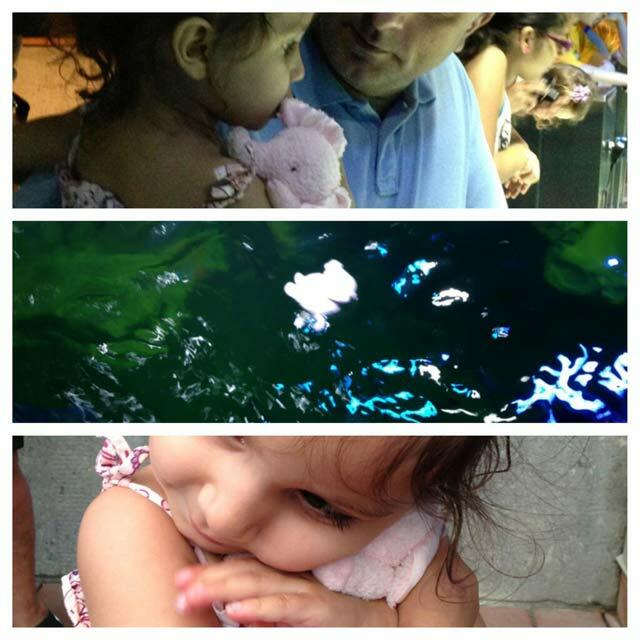 She was visiting the Aquarium with her family when she accidentally went for a dip. 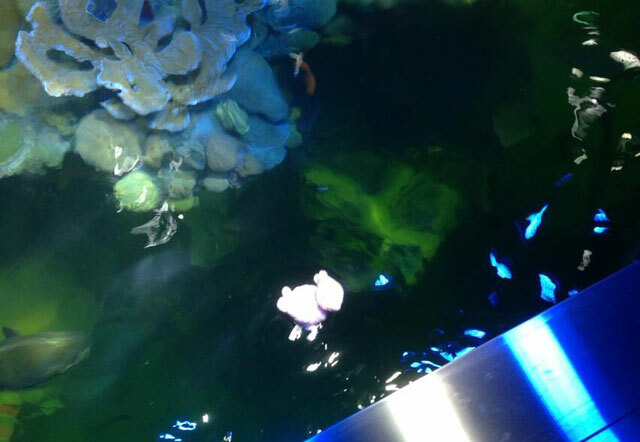 That's when I heard a faint "Diver guy?" come from behind the glass wall at the top. I swam over, picked it up, and tossed it to one of our dedicated volunteers on the dive platform. This prompted a round of applause from the onlookers. The Giant Ocean Tank Returns!